The Boys of Summer Cover Art is up for a Rainbow Award! 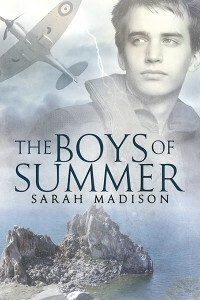 You all probably know by now how much I love my cover for The Boys of Summer. Artist Reese Dante did an amazing job, practically reading my mind when it came to choosing the elements I wanted to evoke the misty reflection on the past that is central to the story. 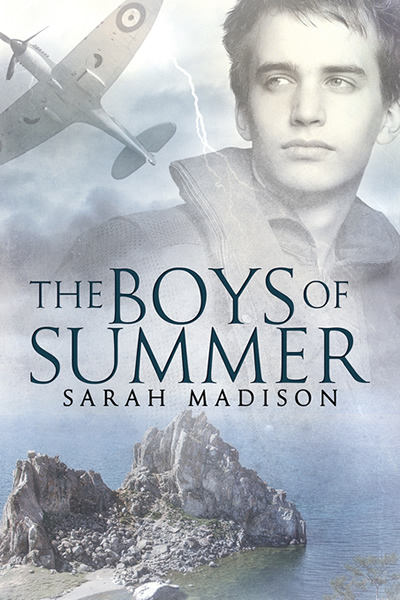 I’ve been delighted to watch this cover’s progress through the voting in this year’s Rainbow Cover Art Awards and now The Boys of Summer has reached the forth and final round of competition! Now, I know it has nothing to do with me, but I can’t help but be excited on behalf of my cover! You must vote for three covers in each of the two divisions (Illustrated and Designed Covers) and leave a comment (which are screened). In parallel voting, a panel of judges will also supply their input to come up with the final winners. How exciting is that? Now run, check out the pretty and VOTE for your favorite cover art! While you are there, you should check out the month long celebrations that are going on as a run up to the 2013 Rainbow Awards announcements in December. The Boys of Summer is a finalist in these awards, and I have to say, it is truly an honor to be listed among such great books this year. As part of the pre-Awards party, there are book giveaways from every finalist in the Awards, as well as scavenger hunts and ‘guess the excerpt’ contests. Go check it out and have some fun while we’re all excitedly waiting for the final winner’s list! This entry was posted in Uncategorized and tagged announcements, awards, contests, cover art, GLBTQ, Sarah Madison, The Boys of Summer by Sarah Madison. Bookmark the permalink. Am stupid and embarrassed. How do I vote here? Do I just leave a reply on Dreamwidth somehow, or do I have to register and sing in somewhere? I’ve read and loved some of these stories, but am having an awful life right now, and have missed the previous votes. Help? Not to worry, it IS a little confusing. The comments are screened, so only the moderator can see them. There are two links on the page: one for the final 15 illustrated covers and one for the final 15 designed covers. You have to vote for three covers in each category to have your vote counted, so wrote down the titles of the three covers I liked best in each category, (making sure to include The Boys of Summer as one of them, naturally!) and then I logged into my dreamwidth account and left a comment with the six titles listed. Sarah Madison recently posted..Scent of a Wolf: the latest release from Draven St. James!